Home » Telugu » News » Not Ram Gopal Varma but Teja to direct the biopic on N.T.Rama Rao? Not Ram Gopal Varma but Teja to direct the biopic on N.T.Rama Rao? Reports suggest that Teja recently met Nandamuri Balakrishna and discussed about the film, and soon as official announcement might be made. 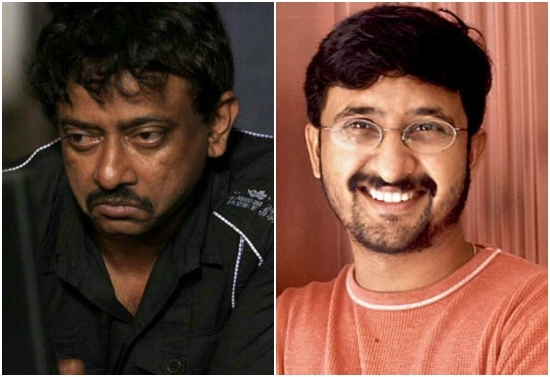 Ram Gopal Varma had, a while ago, announced that he would be making the biopic on the yesteryear legendary actor Nandamuri Taraka Rama Rao and would soon reveal more details. The outspoken filmmaker had also released a song regarding this and made it official to the world that he will direct the biopic. However, much hasn’t been heard about it since then and there have been many speculations that Balakrishna hasn’t yet given his nod for the biopic. The latest buzz around the biopic on NTR Sr. is that Nene Raju Nene Mantri director Teja maybe brought on-board to direct the film. Reports suggest that Teja recently met Nandamuri Balakrishna and discussed about the film, and soon something might come out. “The actor believes that Teja can handle the project well after seeing his latest film which is a political drama. The director met Balakrishna a few days ago and the actor told him that he was interested in working with him. The actor also appreciated NRNM and its political backdrop,” a report in DC quoted a source. Sources in Telugu film circles reveal that Teja is on-board and soon an official announcement will follow regarding this. If these reports are to be believed, then Teja’s career will only head in a new direction after the success of his latest directorial Nene Raju Nene Mantri starring Rana Daggubati in the lead role. Prior to this political drama, Teja was going through a lean patch in his career and was badly in need of a successful film.